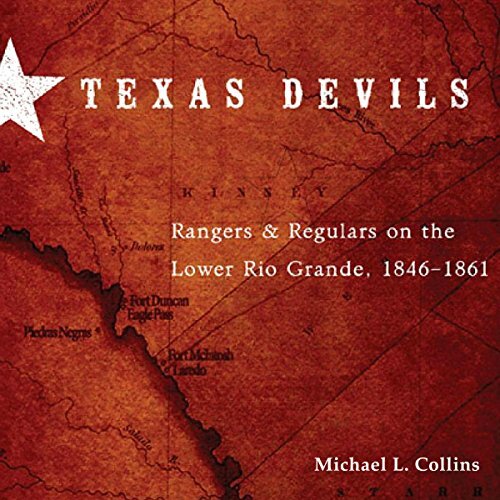 Showing results by author "Michael L. Collins"
This engaging history pulls listeners back to a chaotic time along the lower Rio Grande in the mid-19th century. Texas Devils challenges the time-honored image of "good guys in white hats" to reveal the more complicated and sobering reality behind the Ranger Myth. Michael L. Collins demonstrates that, rather than bringing peace to the region, the Texas Rangers contributed to the violence and were often brutal in their injustices against Spanish-speaking inhabitants.